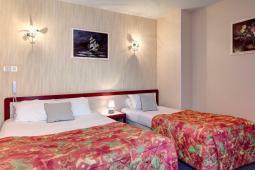 Go to the website of the hotel by following this link http://www.hotel-sablesdolonne.fr. Contact the property at the following telephone number: 02 51 21 03 28. Room overlooking the port - 1 bed 140, double glazing, with bath WC, TV. Wifi access. No smoking room. Imperative arrival before 9.00 PM. 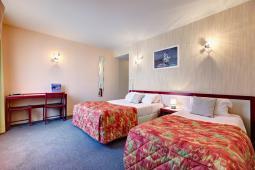 Welcome to the Hotel d'Angleterre in the heart of Les Sables d'Olonne on the port, 2 minutes from the beach, casino and swimming pool. 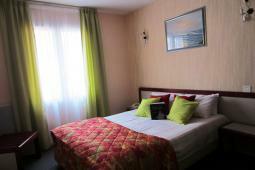 We have 24 comfortable rooms, lift access, Canal Plus TV, free WiFi.